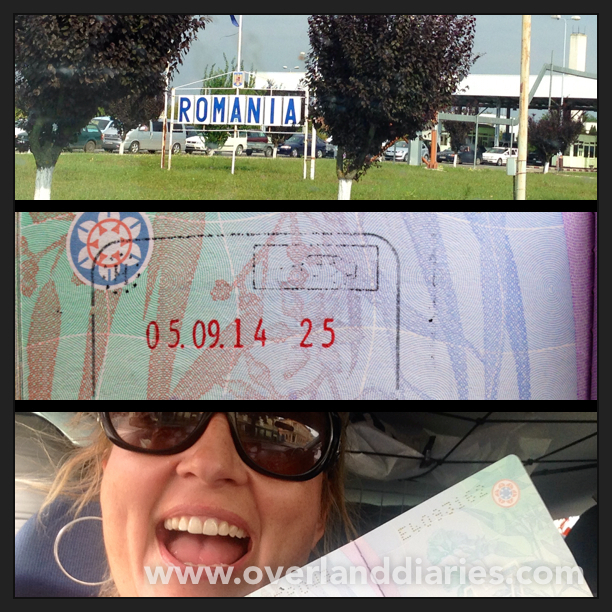 Romania was in my travel plans for quite a while but I had never been there until a couple of weeks ago, when Rochelle and I rolled Voukefalas to the Hungary-Romania border. 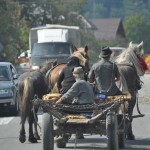 As we crossed the border and we were officially stamped in Romania, we had a pleasant surprise. 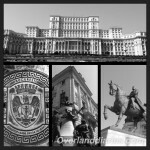 Romania has been trying hard in the recent years but it hasn’t entered yet neither the eurozone nor the Schengen Area. In other words, Rochelle made it out of the Schengen Area without paying the heavy ﬁne for overstaying, which would have caused a major damage to our budget (600-1400 Euros worth). 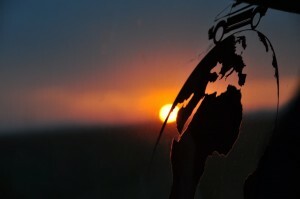 With a smile still on our face, we started exploring our surroundings. 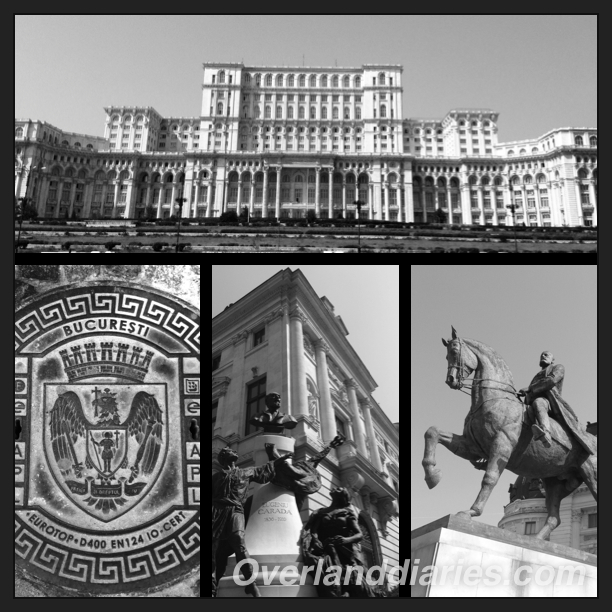 I could easily describe Romania as a travel back in time, as our point of entry was from the poorest far north of the country. People here still struggle to cultivate the land with their own hands and the use of machinery is still considered a luxury. 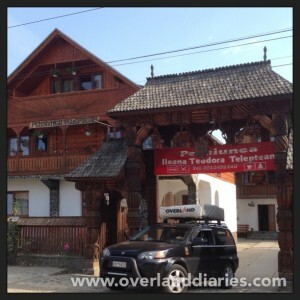 Our first overnight was in Maramures Area and the village of Vadu Izei. 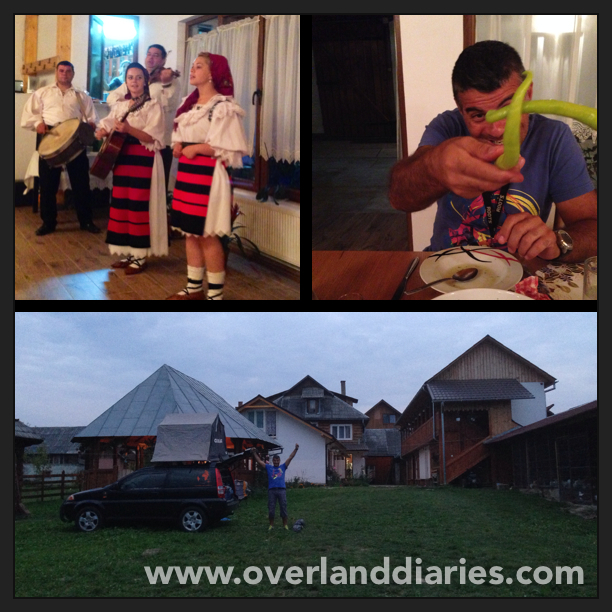 Our host in Theodora Pension, Theodora herself, was our first taste of Romanian hospitality. 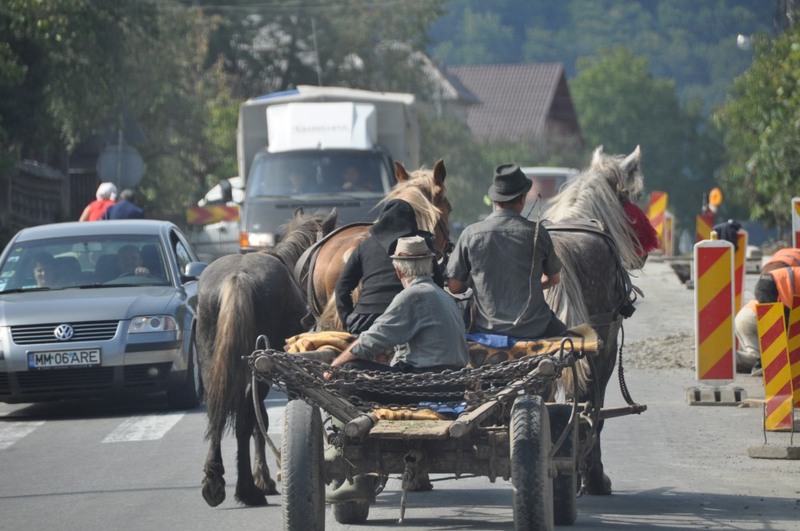 Great, hospitable people and the landscape was a pure, unspoiled forest that definitely made our stay a highlight in our whole Romanian experience. Just ask us about the dancing and the plum brandy!!! Oh, and all the colorful kitchen pots on the tree out front! 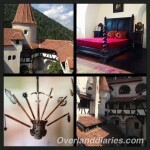 Next was Transylvania. Located in the centre of the country, it’s a nationwide known highlight, so we had to pay a visit. 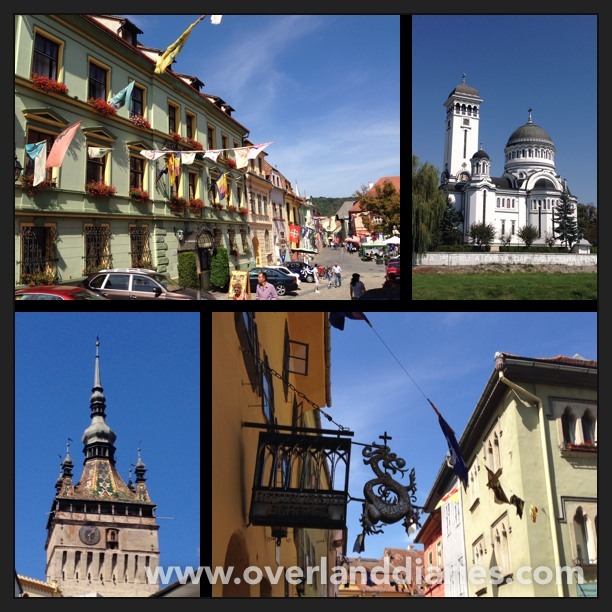 With no further delay we headed directly to the Saxon Castle area and the city of Sibiu. Unfortunately we had no luck finding a hotel or a campground because it was a national holiday. 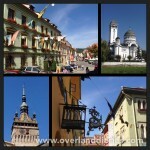 So without accommodation options we had to move to Sighisoara, 100km further north. 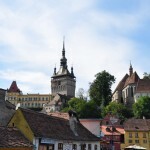 As our lonely planet book states for Sighisoara: “It’s so pretty that it should be arrested;” From the moment we entered the fortified walls, it was like stepping into a kid’s fairytale. 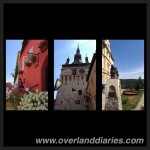 The narrow streets, the lustrously colored 16th-century houses, their gingerbread roofs, all add to the magic scenery. 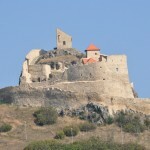 The Unesco-protected citadel is the best preserved of its kind in Europe. 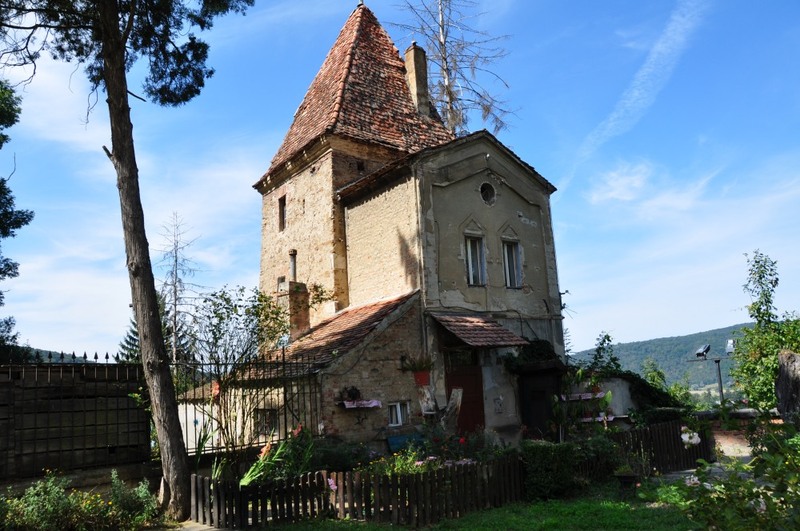 Here was the birthplace of one of history’s great monsters, Vlad Ţepeş (The Impaler), the original Dracula. 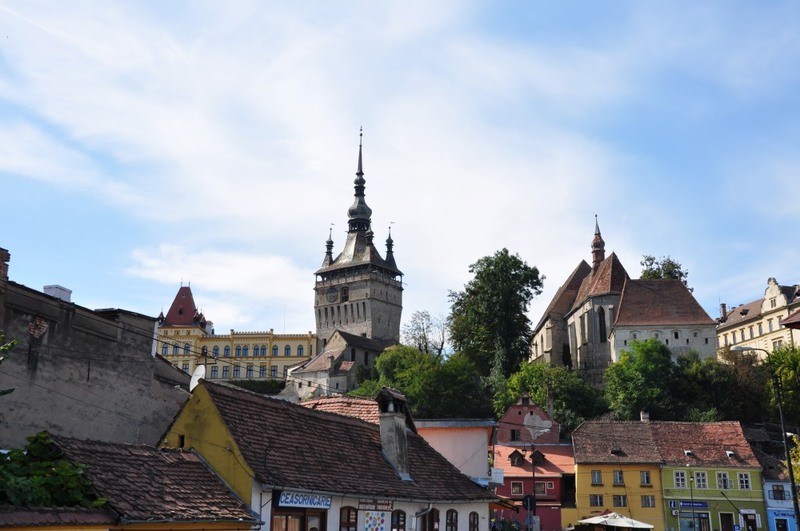 Our departure from Sibiu didn’t really come as a disappointment, quite the opposite, as the old fortified city of Sighisoara made up for it. We spent some time exploring the city before we headed on to the other two nearby castles in Brad near Brasov (Bran and Rasnov). 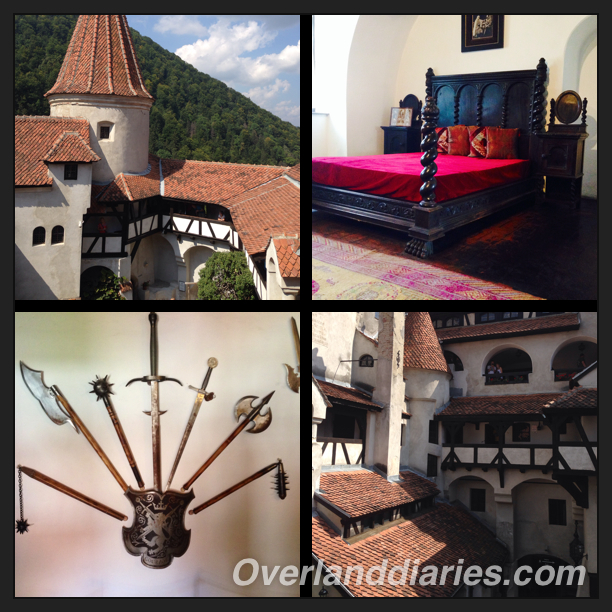 First was the 60m tall Bran Castle, a spectacular site. 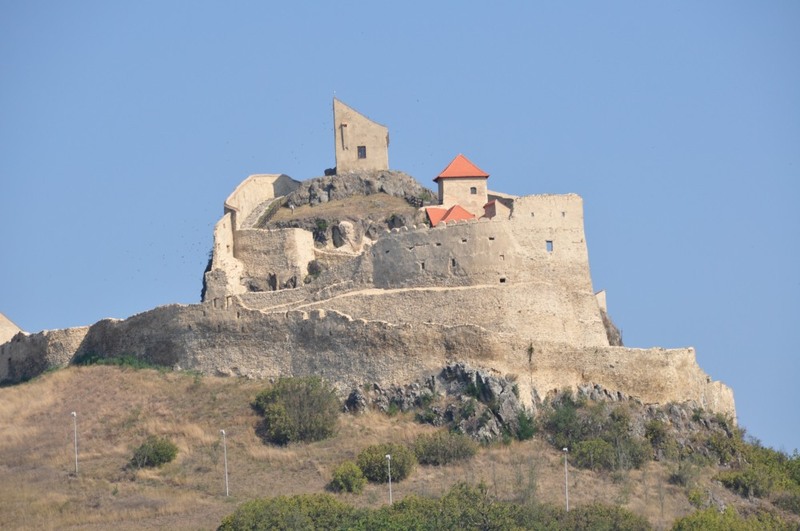 Built by Saxons from Braşov in 1382, to defend the Bran pass against Turks, the castle may have housed Vlad Ţepeş for a few nights, on his flight from the Turks in 1462. Since 1920 Queen Marie lived in the castle and it served as a summer royal residence until the forced abdication of King Michael in 1947. 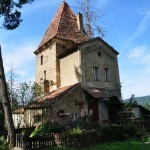 It became a museum in 1957. Rasnov Castle was less interesting although it looked really impressive from the lowlands. But still it’s definitely worth a visit if you are in the area. Something that must be said for both castles is that their popularity didn’t take away their beauty.